Bitcoin Press Release: The Quppy team is proud to announce that white label payment technology is now available on its platform. 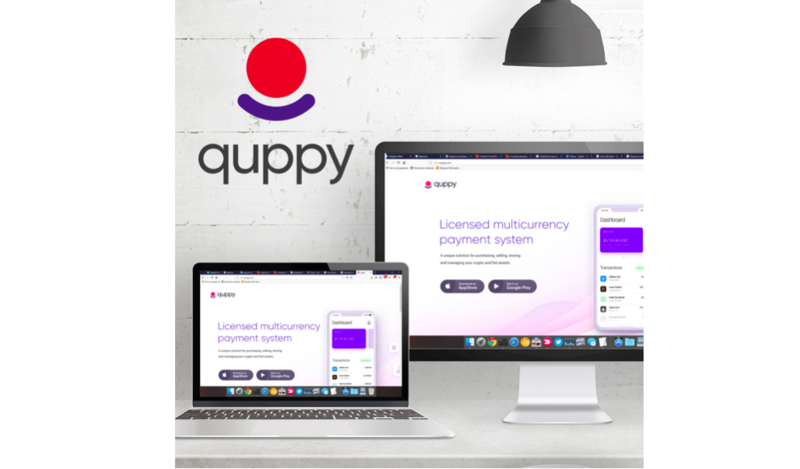 Jan 04 2018, TALLIN, ESTONIA – Unique, Multi-Currency, Cross-Platform Crypto-Wallet Quppy, has announced that it now offers users white label technology on its platform. The solution, which can be applied to projects of any type, uses a decentralized white label Wallet from Quppy and Quppy Exchange to accept payments through the system, and buy & sell cryptocurrencies. The Quppy team can now create a wallet for a client’s own coin or for other coins, regardless of their availability in the wallet. This very unique service allows users the freedom to launch projects based on their own platform, and will even enable the project to display it’s own custom design and logo. Users will also have the ability to add and remove these functions, and additional ones, based directly on their requirements. The platform remains completely decentralized, so that only the client has direct and unequivocal access to their funds. The new system serves to payment providers enabling them to use third-party technologies and support payment acceptance for their merchant customers.The white label simplifies the payment processing for customers. The new payment gateway offers tools to help fighting fraud. The system protects genuine revenues while reducing the costs and administration associated with fraudulent activities. No need to build anything from scratch. With the white label the client has his own platform ready for action. no need to create your own platform. The multilingual team provides constant support of the project. It also monitors the overall system performance. As the system is multilingual, the project can be translated into multiple languages. Besides, Quppy opens IBAN accounts in European Banks, EU collection accounts, Virtual IBAN in SEPA. The accounts support SEPA transfers on the territory of the European Union and the CIS as well as other countries. In the 1st quarter of 2019 it is planned to start issuing corporate cards. Any transaction complies with all safety requirements without exception. The post Multi-Currency Wallet App Quppy Announces Launch of White Label Wallet Payments appeared first on Bitcoin PR Buzz.